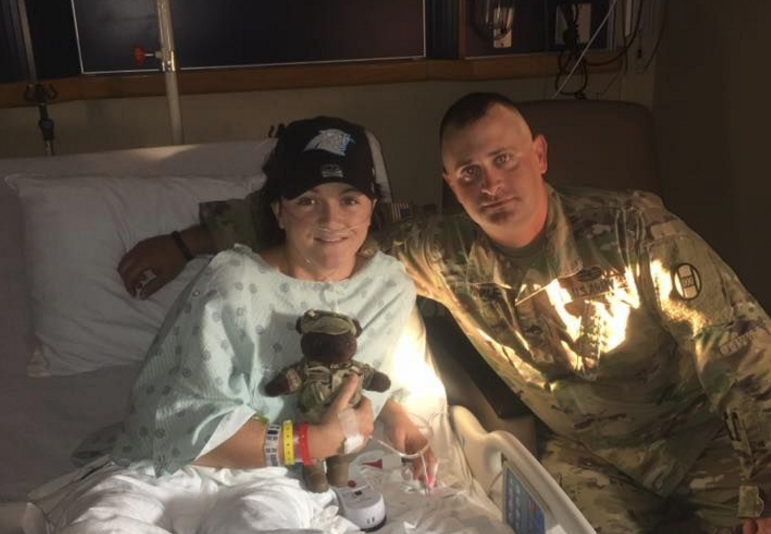 25 Sep, 2017 by	Margaret M.
In North Carolina, Staff Sergeant Cory Hinkle was driving to his home in Forest City. He was returning from the National Guard base in Charlotte, about 60 miles away from his home. 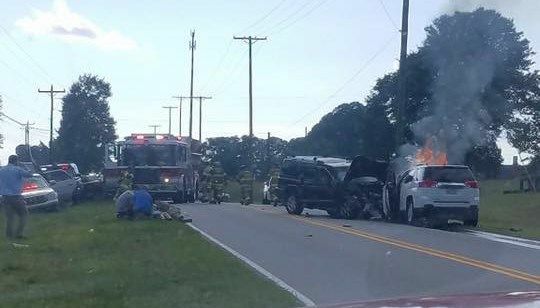 When he was about 20 miles from home, in Shelby on the Boiling Springs Highway, he was directly behind a head-on collision. Hinkle said that he saw the cars in front of him “slam into each other” and dust and smoke went everywhere. But, Hinkle wasn’t phased. He is a combat veteran who served in Iraq, so his “instinct and training” kicked in when he chose to get out of his own vehicle and run directly toward the car that was smoking from under the hood. Hinkle knew that “smoke means there’s going to be a fire” and that cars have gasoline in them. Put two and two together, and whoever is still in that car is in a very real danger of being caught in flames or an explosion. Guin said that Sgt. Hinkle helped her out of the car, bringing her to safety on the side of the road, but when the the car started to explode, Hinkle shielded Guin with his own body and told her: “It’s going to have to go through me to get to you.” Hinkle and Guin were perfect strangers, but he laid beside her to keep the flying debris from hitting her. So far, we know that Hinkle suffered a bruised ankle where he was hit by a piece of flying metal from the vehicle and he says even if it had been worse, he wouldn’t hesitate a moment to do the same thing again. Oh no, sounds like toxic male behavior! But Hinkle credits his “belief in humanity” for his own action. He treats everyone the way that he wants his own family to be treated and he knows that they will do the same. His 15 years in the military haven’t worn down his faith in humanity, it only made it stronger. Clearing road side bombs doesn’t sound like the kind of thing that would make a person better, but Hinkle proves us wrong on that count. Earlier this week we brought another good story of a veteran, when Steelers offensive tackle Alejandro Villanueva, who served three tours in Afghanistan, was the only one on his team to stand up for the National Anthem.